Jonathan David - Another Canadian Sensation for the Bundesliga? Alphonso Davies made the Bayern bench on Friday against Hoffenheim but ultimately did not feature. But while the Canadian soccer world continues to await the much-anticipated debut of Davies in a Bayern shirt, another Canadian is producing headlines across the border in Belgium. In fact, KAA Gent striker Jonathan David could soon join his national team partner Davies in Germany. On Tuesday, January 22 reports coming out of Belgium linked the 19-year-old striker with a move to the Bundesliga. The Belgian based homepage Voetbal Nieuws reported that Borussia Dortmund, Bayer Leverkusen, Borussia Mönchengladbach, Freiburg and Hoffenheim, as well as the Belgian side RSC Anderlecht are interested in the striker. “The clubs from the Bundesliga are especially impressed by his speed, technique, purpose, strength and football intelligence,” the report on Voetbal Nieuws read. One of several players tracked by Canucks Abroad Jonathan David can play almost any position in attacking midfield and even up front as a number 9. Following rumours linking his teammate Giorgi Chakvetadze to several Bundesliga teams, the Canadian forward, in fact, is already the second KAA Gent player this season to have caught the attention of foreign clubs. Although born in Brooklyn, New York, Jonathan David was three months old when his family moved from Brooklyn to Port-au-Prince in Haiti. Just six years later his family was on the move again, this time from Haiti to Ottawa where he learned how to play soccer. When he was ten, he joined the Gloucester Dragons Soccer Academy and then in 2016 he played for the Ottawa Internationals Soccer Club program. It was there that he was spotted by the Belgian side KAA Gent, who signed him to a professional contract in January 2018. Although he would not make his professional debut for KAA Gent, the move was a watershed moment in the career of the young Canadian. In May 2018 he was called up to the Canadian Under-23 team that took part in the 2018 Toulon Tournament. There Canada finished second in Group C, which also included Turkey, Japan and Portugal. Last August the young forward made his league debut for Gent. Scoring in stoppage time to salvage a late 1-1 draw against Zulte-Waregem the 18-year-old impressed in his first game. Five days later he was at it again scoring in the 85′ minute of the Europa League third round qualification match against the Polish side Jagiellonia Białystok. In fact, the young Canadian could not stop scoring during this early stage of the 2018/19 season. He would score five goals in his first five games for his club earning a contract extension that until 2022 and a call up to the Canadian senior national team on August 30. On September 9 he made his debut against US Virgin Islands scoring twice in Canada’s 8-0 win. He then scored again in his second game against Domenica to make it three in two games in October but was held off the scoresheet in Canada’s 1-0 victory over St. Kitts/Nevis. Three goals in three Canadian national team games, albeit against minor opposition highlight one of David’s biggest strengths. Although he primarily likes to play behind a natural number 9, he is a goalscorer Trequartista sort of attacking midfielder. 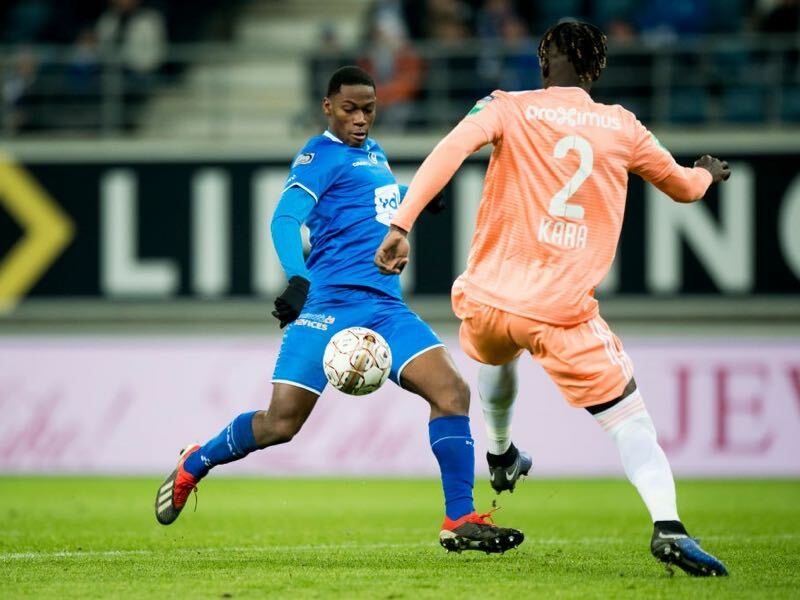 In 15 Jupiler Pro League games for KAA Gent the 19-year-old has scored five goals but after scoring four goals in his first four matches has only added one goal since August 26 — he scored in KAA Gent’s 4-1 victory over Cercle Brugge on matchday 20. The goal drought can be partly explained in a switch of positions, however. Starting the season as a centre-forward, the club made a coaching change in the fall. Yves Vanderhaeghe was replaced with Danish coach Jess Thorup on October 10. Under Thorup, Jonathan David was used just once as a centre-forward — in the 0-0 draw against Antwerp. In the six games since the 19-year-old primarily played just behind a nominal striker, which also reflected in his goalscoring numbers. 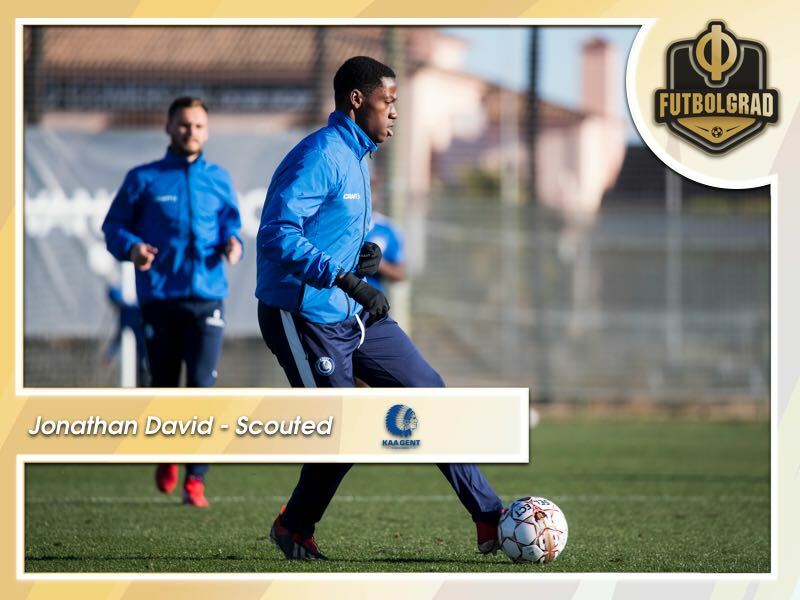 Nonetheless, with a goal average of 0.63 per 90 minutes, Jonathan David is the 11th best forward in that category in the Belgian Jupiler League. Furthermore, he ranks 20th among all players in the league with 4.05 touches in the box highlighting that despite his preferred position behind a striker he likes to play deep in the opponents half. At the same time, while many of the indicators as well as his physical presence point towards David’s immense potential, it also needs to be highlighted that he is a raw talent. Although a good dribbler a player with his physical attributes should produce more than the 4.14 dribbles per game (51.2% won). Overall, there is no doubt that Jonathan David would be a project. But he might be very well the sort of project, who could thrive at a highly competitive environment the Bundesliga provides.